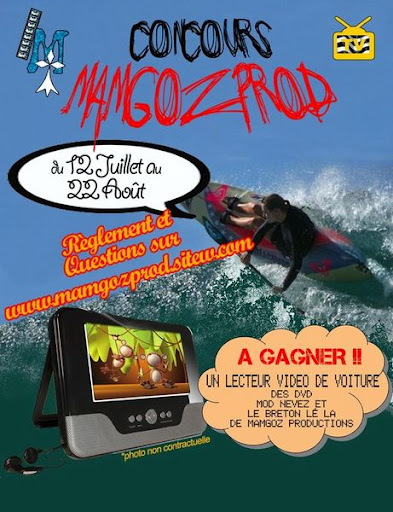 Concurso MAMGOZPROD / Habilite-se a ganhar um leitor de dvd e filmes de waveski! A ideia é de Mathieu Jonneaux - responsável pelas produções Mamgoz, PARTNER do kayaksurf.net. O objectivo é responder às questões que estão no site e (tentar) ganhar um dvd portátil para automóvel. Basta visitar a página de Mathieu e tentar a sorte! 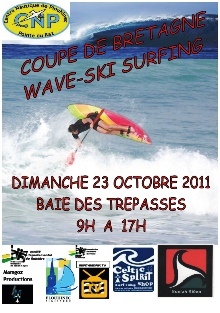 The idea comes from Mathieu Jonneuax - international waveski rider and Mamgoz Productions director. You just have to visit his website and try to answer the questions. All the rules are in there. The prize is a portable dvd for car. Check it out and try! Castagneto Carducci stays 80 km south from the turistical city of Pisa, Italian west side coast. 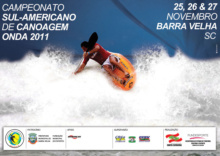 Team Donoratico organizes this sunday a Meeting and, if the swell helps, there will be also kayaksurf. 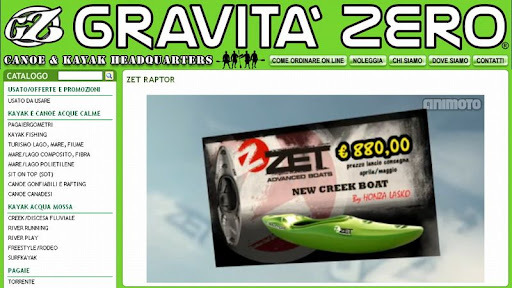 Gravita Zero supports the event and will be there with some gear. 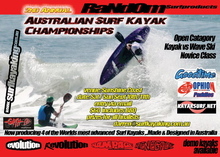 kayaksurf.net wishes all the Team the best for this sunday and, above all, have fun!! 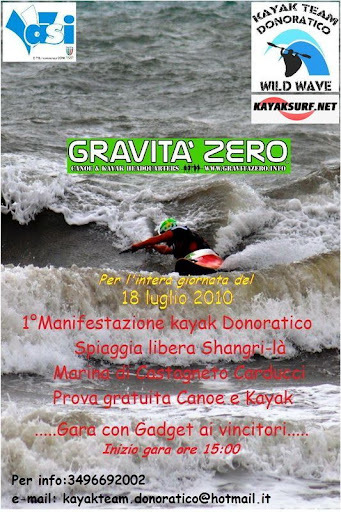 Domenica 18 Luglio, nella spiaggia libera vicino allo Shangri-là (Marina di Castagneto Carducci) si svolgerà la prima manifestazione Kayak a Donoratico, con la partecipazione di GRAVITAZERO ( http://www.gravitazero.info/ ) , e l'appoggio del Comitato Turistico di Marina di Castagneto Carducci. Alle 15 organizzeremo una piccola gara APERTA A TUTTI........ con GADGET ai vincitori!!! 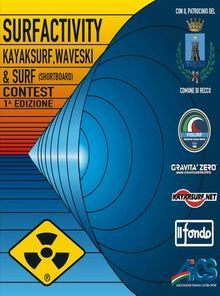 Nel caso le condizioni del mare lo permettono ci sarà un'uscita in Kayaksurf !!!!! It's always a pleasure to see Bernie surfing! Classic, huge and always fantastic!! 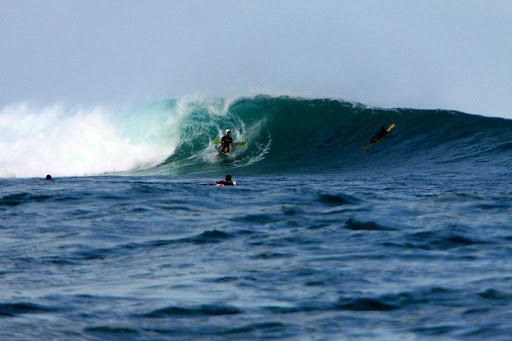 These photos were took last month in G-Land spot (Indonesia) and, when someone see photos like these, quickly understands why we love so much surfing ;) You can check the best photo of Bernie also on our GALLERY. Awesome!! Congratulations and thanks a lot Bernie! 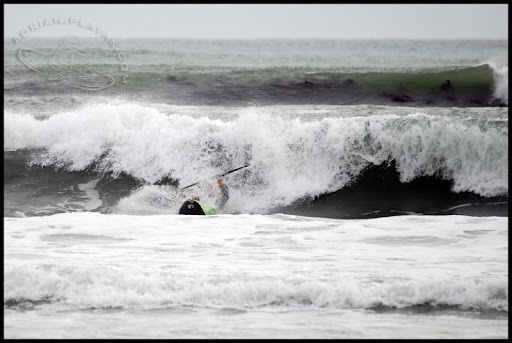 Adrian Tregoning is our man on South Africa - NEWS TEAM kayaksurf.net - that usually sends us beautiful photos with his Fluid. 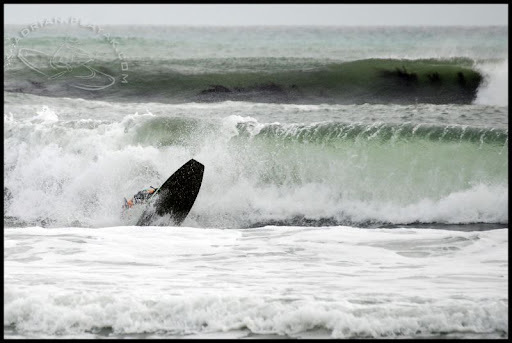 This time, he sent us 60 fantastic photos with his latest surf sessions near Cape Town. 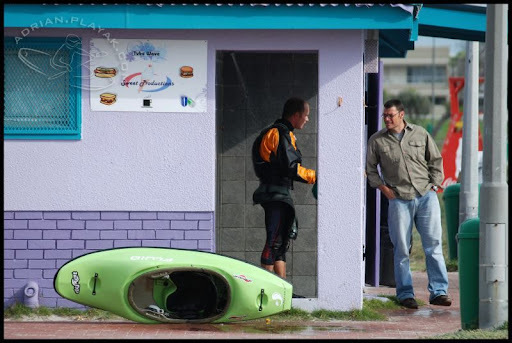 Here is the very first one in Melkbos on 25 May. 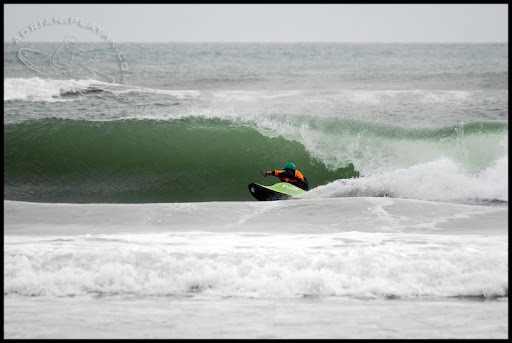 Location: Tubewave, Melkbosstrand. Melkbos is a beautiful seaside village on the north-western fringe of the Cape Town Metropolis. It is well known for its tranquility, wide white beach, water-sports and west-coast hospitality. It is an easy getaway from the hustle and bustle of the city. Wait for the next report!! It's always a pleasure to see Andy surfing! 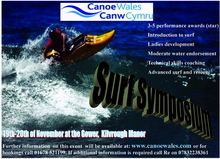 It's the NEW kayaksurf generation in it's best showing that these young riders are really good. 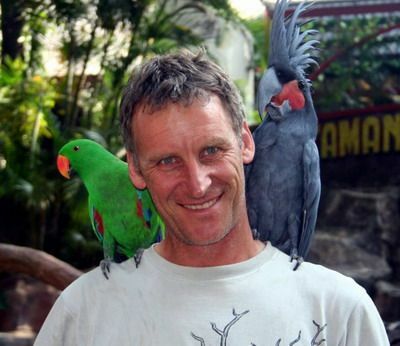 Check out this video with Andy McLelland - Nortern Ireland Squad. 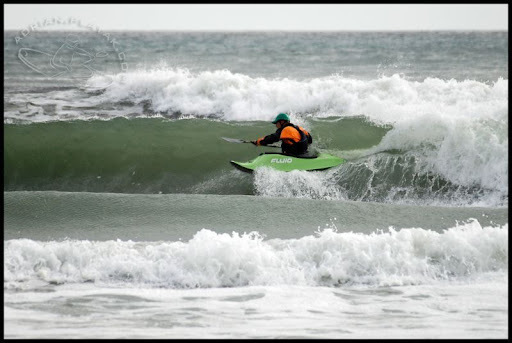 Also from Northern Ireland, Dessie McGlinchey - NEWS TEAM kayaksurf.net - sent us his "testing" video with the GoPro camera. 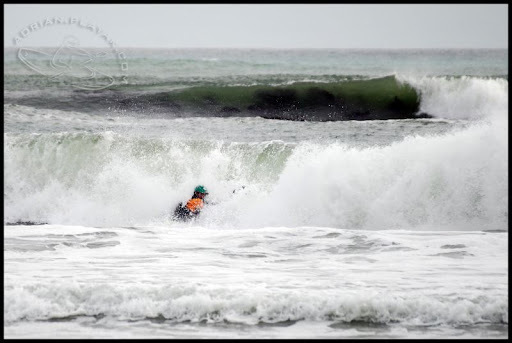 From the other side of the Atlantic, we can see Bruno Guazzelli Filho - NEWS TEAM kayaksurf.net - together with friends in a free surf session in the end of last June - surf, SUP, bodyboard and kayaksurf. All in Juréia Beach (S.Paulo). 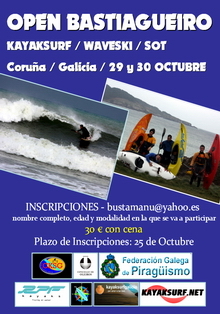 Great surf!! Thanks Dessie and Andy!! Obrigado Bruno!! 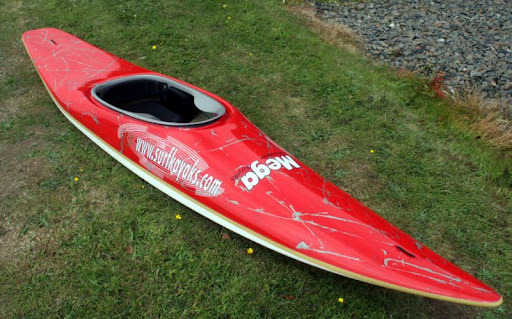 MEGA SURFKAYAKS / Summer BARGAIN!! Once in a while, Malcolm Pearcey suprises us with these mega-promotions. 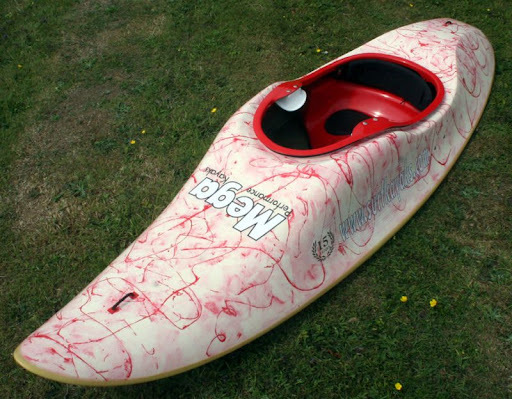 Great chances to get a brand new MEGA surfkayak for an extraordinary price! Check out these models and get in touch with MEGA! 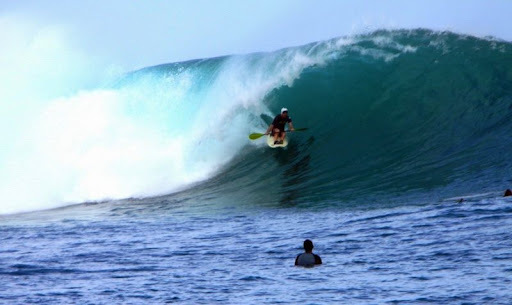 SUMMER BARGAIN - Choose your next surfkayak here! 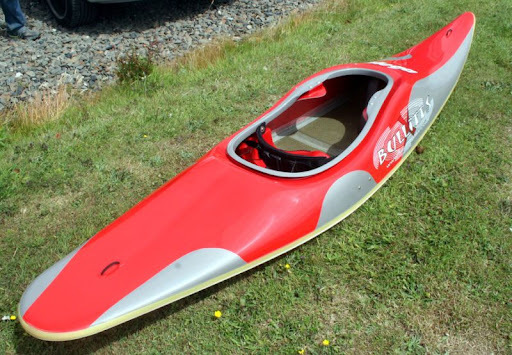 Mega Jester Trident International Class surf kayak. Colours Red/Silver marble. White Hull. 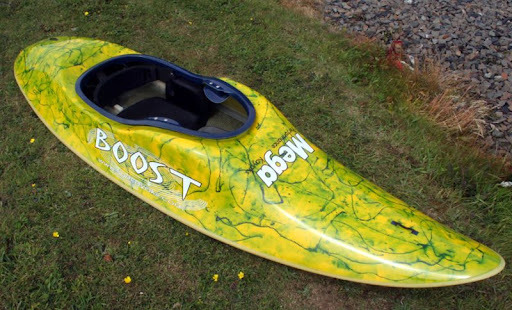 The Awesome "Mega Boost" Surf kayak. A contest winner from its very 1st outing and taking the competition as well as the recreational market by storm. The Mega Bullitt "X" s Surf kayak. 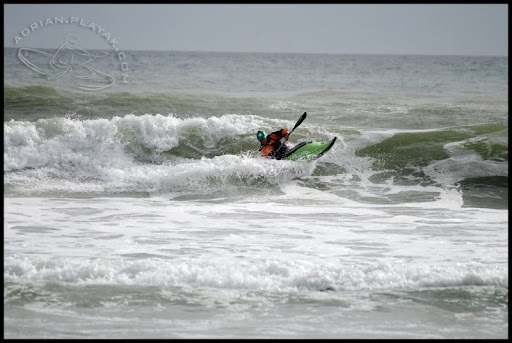 is one of the most versatile surf kayaks available today. It will handle a wide range of conditions and is a great competition as well as recreational boat. 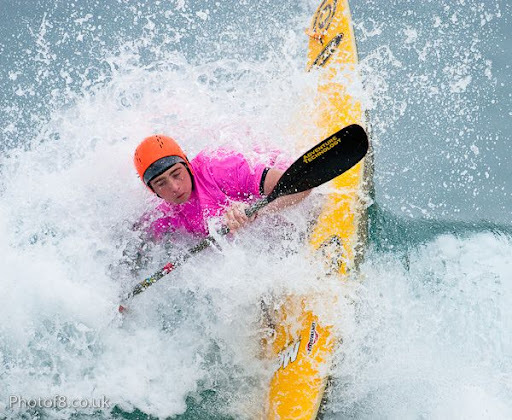 The Mega Reflex Surf Kayak, 3 times Winner of the Santa Cruz Festival. É a mais recente entrevista publicada no kayaksurf.net. 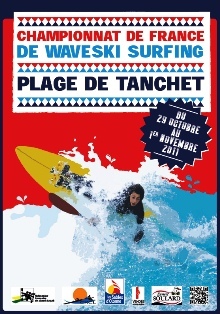 Treinador de canoagem com especialização em waveski, Hugues Termeau é uma referência no waveski em França. Estivemos com ele em Peniche e aqui está a entrevista! It's the most recent interview on kayaksurf.net. 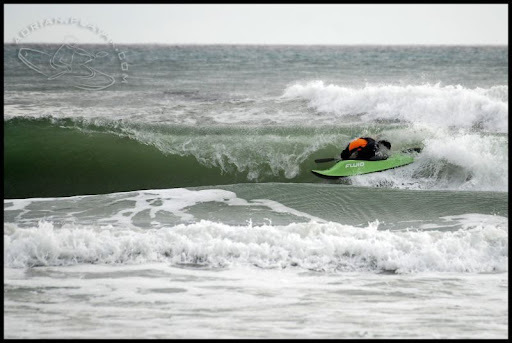 We met Hugues Termeau in Peniche (Portugal) and this waveski trainer is, above all, a very nice guy with a great sense of humor ;) Besides this, is an excellent raider and teacher. Take a look of this "Short & Quick" interview (also in english version). Very good! Ainda há poucos dias tínhamos publicado algumas fotos com Nathan Eades a surfar no Perú - onde ainda se encontra. 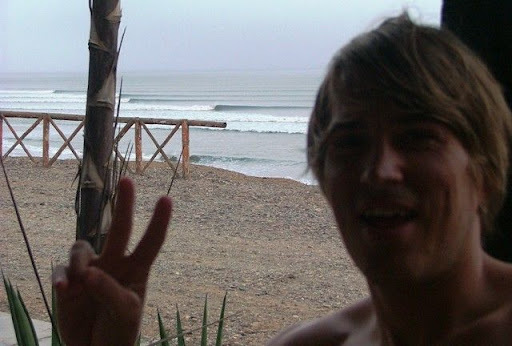 Aliás, a história do Perú está associada a uma das "teses" sobre o aparecimento do kayaksurf. Tudo se passou algures em Huanchaco com os primeiros TOTORA... não sabe o que são? Veja o vídeo... muito bom! 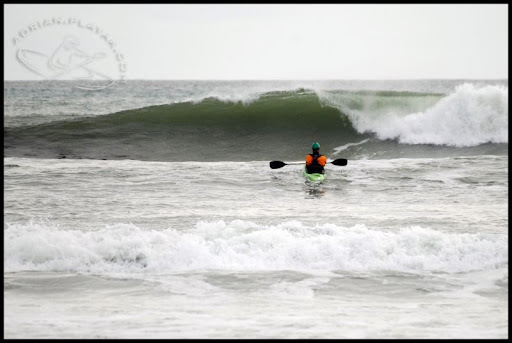 Nathan Eades - NEWS TEAM kayaksurf.net - is still in Peru and a few days ago we published some photos of our welsh friend in Chicama. 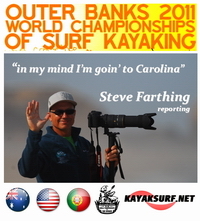 He is preparing great footage about Peru and the borning of kayaksurf. Why? All started with the Totoras. 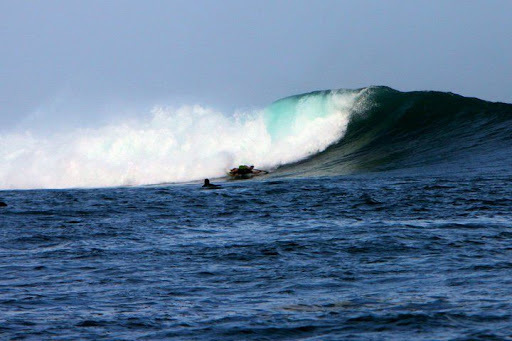 Originally used by fishermen, th Totora original surfboards are a versatile tool to navigate the waters of Peru. Sofia Mulanovich together with world-class surfer Sally Fitzgobbons and junior Nadja de Col exchanged their boards for the ancient type to test the surfing quality of these Peruvian boats that have thousands of years of history. Check the video!